CHARLOTTESVILLE, Va. Northrop Grumman Corp. has won production and long lead time materials (LLTM) contracts for the U.S. Coast Guard (USCG) Offshore Patrol Cutter (OPC) C4ISR [command, control, communications, computers, intelligence, surveillance, and reconnaissance] and control systems, in concert with Eastern Shipbuilding Group (ESG). 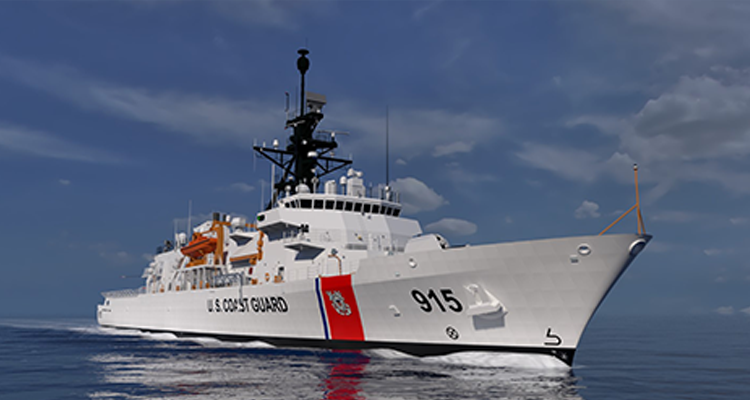 Northrop Grumman will produce C4ISR and control systems for the lead OPC, USCGC Argus (WMSM-915); and will procure LLTM for these systems on the second OPC, USCGC Chase (WMSM-916). Northrop Grumman’s part in building the OPC platform include the integrated bridge, navigation, command and control, computing network, data distribution, machinery control, and propulsion control systems. It will perform C4ISR system integration at the Northrop Grumman OPC test and integration facility in Charlottesville and control systems integration at its Charlottesville land-based test facility.